Premio Teambuilding joins the Catalyst Network bringing Catalyst team building products to Costa Rica. Catalyst Global are excited to announce that Premio Teambuilding have joined the Catalyst Network bringing Catalyst Team Building products to Costa Rica and Panama. "As a leading specialist in the MICE industry (Meetings, Incentives, Congresses and Events), Premio is very proud to bring the Catalyst world to Costa Rica, the perfect destination for Teambuilding. Catalyst's professionally designed teambuilding activities and business games, together with its global network of partners will enable Premio’s new subsidiary Premio Teambuilding to fulfil the demanding needs of its clients. We see a lot of growth ahead of us, both locally and internationally considering that Costa Rica has a thriving local economy of local businesses and well established multinationals."" 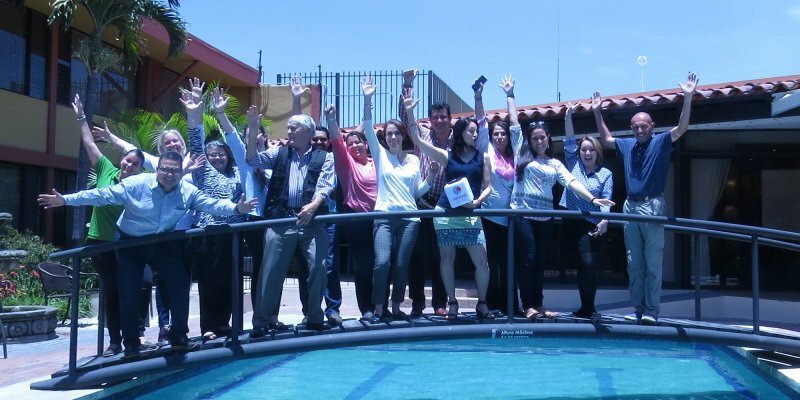 A team from Catalyst Global went to Costa Rica last week to deliver a series of training days to the PREMIO team. Training sessions included product know-how in terms of sales and delivery, as well as, a bit of time exploring the fabulous attractions and things to do and see in Costa Rica. Premio DMC demonstrates an increasing trend towards DMC’s realizing the value of our ‘turnkey’ teambuilding solutions which enable established DMCs to instantly introduce a wealth of creative concepts into their existing portfolio. I am excited about this latest partnership and know that Premio DMC will bring an enormous wealth of experience to the Catalyst Global Network. We look forward to working closely together and expect exciting things from the team at PREMIO team building.